Killowen Primary School and Nursery Unit enjoys a fine reputation as a great school that provides quality learning and teaching for children aged three to eleven. Our motto of ‘Explore Excite Excel’ reflects the active, enquiry based approach we take to everything. This section of our website shows the kind of things that happen in school every day including classwork, special visits, events and of course the achievements of our pupils. We offer a teaching and learning environment where children from all traditions and cultures are welcomed, respected and nurtured together. Great emphasis is placed on the positive and supportive environment in our school in which every child can feel secure, work happily and benefit from a curriculum rich in inspiring experiences. 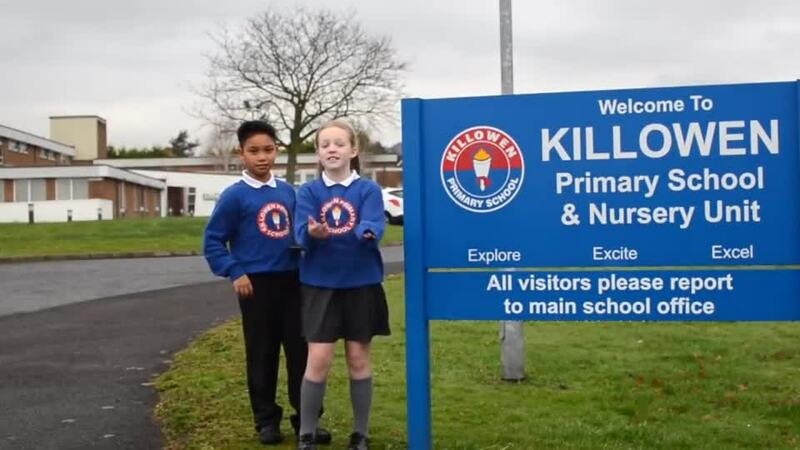 There is always something exciting going on at Killowen so whether you are a current parent, a prospective parent or one of our very own pupils, I hope you will enjoy finding out about our school on this website. Please refer to our dedicated web-page for what this means for Killowen PS.